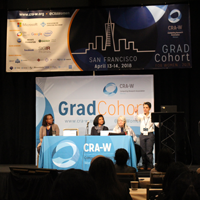 On April 13-14, 2018, more than 400 women graduate students in computing gathered in San Francisco, CA, for the CRA-W Grad Cohort Workshop for Women. The workshop welcomed women graduate students in their first three years of graduate school into the community of computing researchers and professionals. Throughout the two-day workshop, professional connections were made, new friendships were formed, and mentoring relationships with senior researchers were established. 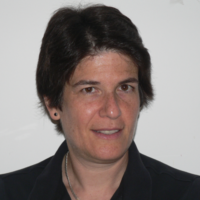 Women are underrepresented at all stages of the computing research career pipeline, and that is why events like the CRA-W Graduate Cohort for Women, which brings together those who may feel isolated, are crucial to supporting the creation of a diverse pipeline of the computing field. CRA-W organizes this workshop as part of its mission to increase the success and participation of women in computing research. 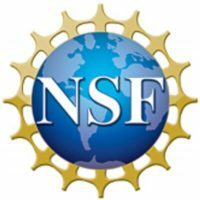 The workshop is generously funded by sponsors from industry, academia, the National Science Foundation, and the computing community. The 2019 CRA-W Grad Cohort for Women will be held on April 12-13 in Chicago, IL.